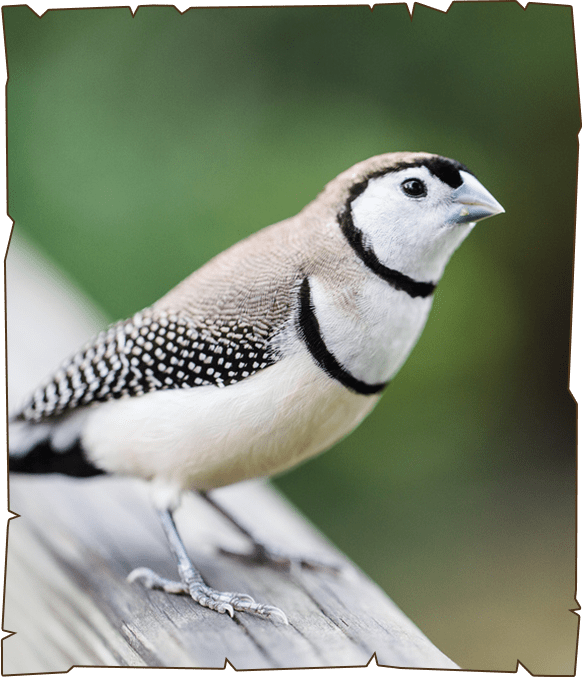 The owl finch’s natural habitat is Australia, particularly the woodlands, grasslands, and scrublands, though they can also be found in city parks as well. They travel in groups numbering four to 40, and are active flyers. Owl finches are active little bieds and curious, too. Owl finches will set up a nest in just about anything. They prefer a covered woven nest to a nest box. The males love to build nests and seek out new nesting sites. They can succumb easily to cold temperatures, this finch must be kept in temperatures no lower than 60 degrees Fahrenheit, though they prefer to be warmer.